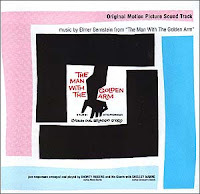 A sure sign that jazz had found a home in Hollywood came in ’56 when Elmer Bernstein earned an Academy Award® nomination for The Man with the Golden Arm. The film’s gritty subject matter — heroin addiction — may have opened many eyes to the dangers hounding modern man, but the score opened audience ears to the high drama of hard-driving horn blasts, sultry woodwinds, rumbling bass and crashing percussion. No crime theme seems to swing harder than “Frankie Machine.” The brass screams against a backdrop of jackhammer percussion. On “The Fix,” the same theme takes on a nightmarish urgency. On “Desperation,” rumbling discordant piano and locomotive drums capture the single-minded obsession of the junkie. Golden Arm is simply one of the genre’s most iconic scores. A year later, Bernstein scored Sweet Smell of Success, a cynical drama set on New York City’s Madison Avenue, where reputations are built up and torn down over cocktails. While Burt Lancaster and Tony Curtis exchange Machiavellian manipulations, Bernstein’s score and additional jazz tracks by Chico Hamilton pour on sophisticated scorn. Before the decade ended Bernstein would take another crack at TV crime with somewhat greater success, but first another young Hollywood composer would strike mainstream gold first with his own take on TV crime jazz. The claim came in ’58 when Henry Mancini, a long-time apprentice arranger at Universal, bumped into producer Blake Edwards in the studio barbershop. Edwards invited Mancini to score TV’s Peter Gunn (’58-’61). Mancini’s theme for the suave detective quickly became a standard of cool jazz (and eventually surf rock) repertoire. One could easily compile two or three discs worth of Peter Gunn variations by artists as disparate as Quincy Jones and Art of Noise. In the show, Gunn hangs out in the jazz club Mother’s where a jazz group plays underneath the dialogue. “The idea of using jazz in the ‘Gunn’ score was never even discussed. It was implicit in the story,” Mancini recalled in his autobiography Did They Mention the Music? (p. 87, Contemporary Books, 1989). Walking bass and drums, smoky saxophones, shouting trumpets were keys to the “Peter Gunn” sound, and the show also provided Mancini with his first opportunity to use bass flutes, an instrument that he used with great success throughout his career. 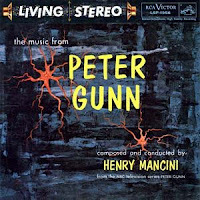 Peter Gunn was one of the first TV shows to receive a soundtrack LP release, which went to number one on the Billboard chart and held the position for 10 weeks — an astonishing feet for a jazz record as well as a soundtrack. It stayed on the charts for more than two years and eventually sold more than a million copies. All of this made Mancini a bankable recording artist and one of the few film or television composers to ever become a household name. The Peter Gunn score was only the beginning of what would prove to be an immensely popular and influential body of work. 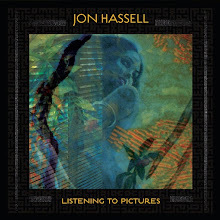 The “chilled-out soundtrack” — as Steely Dan co-founder and jazz aficionado Donald Fagen called it (Premiere, ’87) — spawned two LPs and other related releases. Ten years later, Mancini scored the relatively unsuccessful Gunn ... Number One movie with a somewhat updated sound (check out the fuzz-tone guitar on “The Monkey Farm”). While Peter Gunn was hardly the first show of its kind, its soundtrack helped to popularize the crime jazz genre through the biggest mass medium ever. 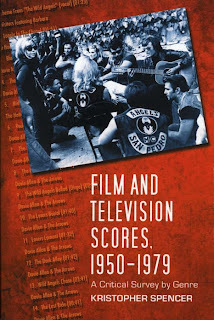 Other shows of the era that touted hard-boiled brass were M Squad, 77 Sunset Strip, Mike Hammer, Perry Mason, Richard Diamond, Naked City and Staccato — the last of which features a Bernstein score. If Staccato appeared to be a calculated response to Peter Gunn, its score was simply a reiteration of the sound Bernstein had already explored on the big screen. Johnny Staccato is a private eye who moonlights as a piano player in a jazz combo at a hip nightclub. Staccato’s theme aptly evokes an urban jungle’s sweltering atmosphere. The rhythm section prowls along like a panther on the hunt, while brass and woodwinds soar above in the canopy of night. The show didn’t enjoy Peter Gunn’s longevity, but its theme is nearly as iconic.